Here’s a really overdue post. I intended to post this in March but due to my boy’s resistance towards learning Mandarin earlier this year, I found it impossible to do so. 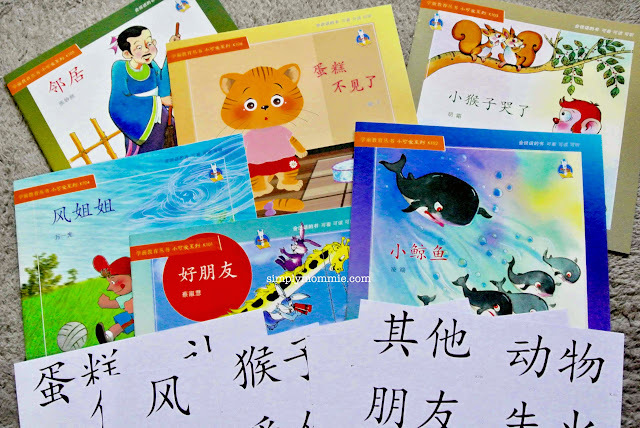 And because I only recommend items/ services that we’ve found useful, I had no choice but to wait to see if he would grow receptive to the new Chinese readers for Nursery/ Kindergarten level which the kind people from Penpal Whizz sent over in January. 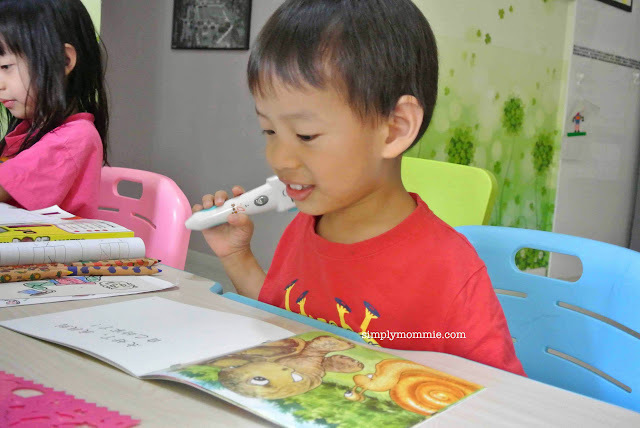 If you aren’t familiar with what the PenPal Whizz is, read my review here. There’s an obvious window of opportunity, and I wasn’t about to let it slip by me. Actually this was about a month ago but I’ve been busy with my girl’s schedule (it was test season in Primary schools) so I’ve finally only managed to sit down to blog proper. There are actually 8 readers in this set but I’ve misplaced 1 for the moment. Each set of readers comes with flashcards to go along with the books. 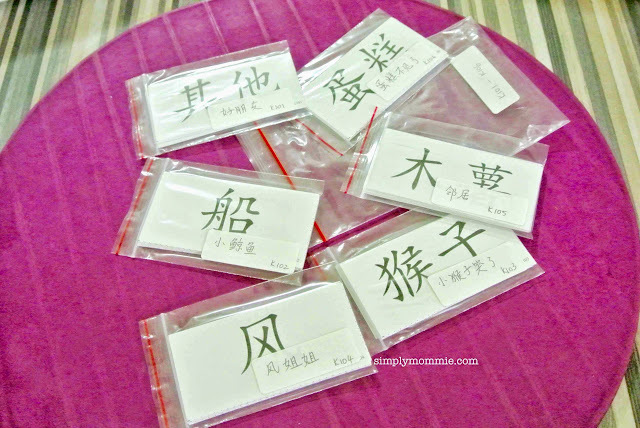 Each sheet of cardstock consists of 8 words (词汇) and all you have to do when you get your set is to cut these up and store them properly so they aren’t mixed up. There is a small number on the back of the cards so even if you mixed up the cards you’d be able to tell which book it belongs to. I like to label mine with the title as well on the small bag for my easy reference. These books are PenPal Whizz compatible – you would need to download the sound files after you purchase them. But even if you don’t have the PenPal Whizz, you can still get these books for your kids as I find that having the cards to go along with the books pretty useful. And now that he’s into flashcards it’s clearly a bonus for us. The pictures are vibrant and the text is big enough for reading and word recognition. Most of the time I have a big problem with getting suitable books with large enough font for the kids to read and recognise the words. There are some discussion questions/games at the back of the book and if you have trouble reading the Chinese text, there’s hanyu pinyin on the last page. I think some might find this useful, especially if you aren’t proficient in the language. Anyway, I personally don’t really like books with hanyu pinyin together with the text for the kids’ reading as there might be an over reliance on hanyu pinyin and hence less focus on the Chinese text. So how do we use the books? We read the book first a couple of times. As my boy is not very strong in Chinese, I do have to translate parts of it to him. After that I pick out a maximum of 3 cards each session for him to identify in the story and we read the cards a few times through. Now the best part for my readers – the generous people from JLB Educational Technology are giving away the two sets of readers to two lucky blog readers (one set for each winner)! 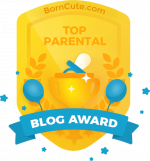 You can win by simply leaving a comment on this blog post and remembering to click ‘I Commented’ in the Rafflecopter widget to qualify. The rest of the options are optional, but would render you more chances to win! *Note: One set of readers per winning household only. 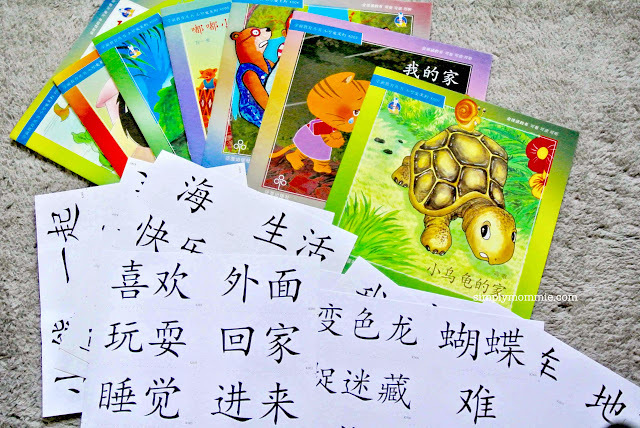 This entry was posted in Books, Giveaways, Homeschooling, Reviews, Teaching Mandarin. Bookmark the permalink. I’ve been trying to look for an appealing chinese teaching material for my 3.5yo n this looks really good! Yes, these look better than many other readers I’ve come across. Would love to see more educational things. I would like to see more activities, academic and leisure type, for children from 1 years and up. Basically, keep up what you are doing. It’s great! no problem :), noted your twitter user name. We’ll be attending one term at a leading enrichment centre and blogging about our experience soon. Do keep a lookout for it. 🙂 Thanks for the support so far. ur experiences handling a primary school kid and a pre schooler! Thanks, I think I shall write about that soon! Wow! This seems like a fantastic item for my 4yr old girl and her younger bro. i would love to see more books review or any educational material reviews. Thanks! I love these materials. This is just what I need! This is exactly what I needed! Thanks for the awesome giveaway! Thank you Cheryl, I hope to be able to blog more about these too! recommandation of good enrichment classes. would like to see more recommendations for kids learning activities, thanks! Reviews on what you’re doing in Chinese and music always encourage and inspire us too! Thank you! 🙂 I hope to find more time to post more too! These books look great! Love them! Would love to hear more about how you help Jingxian with learning in primary school. 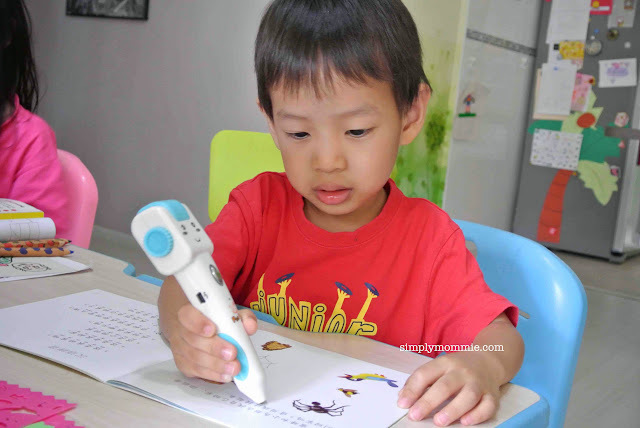 Would like to see more educational stuff for pre-kindergarden and primary 1. The set looks really awesome. Would love to have it for my girl! The reader is so cool and awesome! I would love to use this educational material to teach my boy 🙂 It seems really fun and definitely a booster to teaching Chinese. More about undergoing primary school, since my boy is entering P1 next year. Thanks. 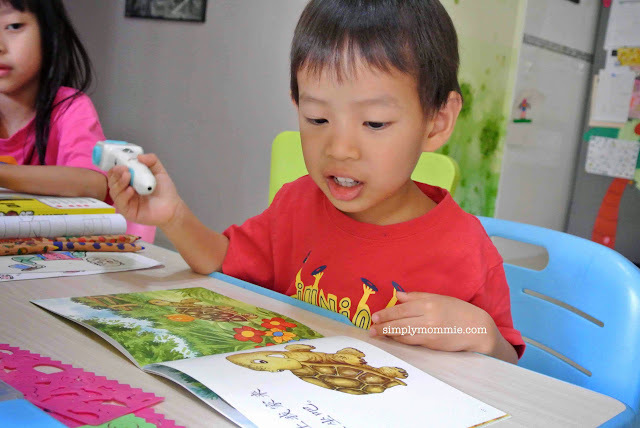 more books reviews and learning activities for children. Awesome! Would love anything fun and educational for preschool kids! Been hunting for a good chinese reading material for my 3.5 y.o. Thanks for the recommendation! My daughter will love this series! Thank you for this giveaway! I would like to see more of the children books and educational products reviews. Thank you! Great reason to start using the penpal whizz again! Would love to see more engaging activities and ideas with toddlers. Their minds are like sponges! I had the English Version but haven’t manage to buy the Chinese Version. This seems very good for my 3yrs old son to learn because he seems to be bored with the English books this Chinese version is pretty good. But I hope it can input some Chinese nursery rhymes too. 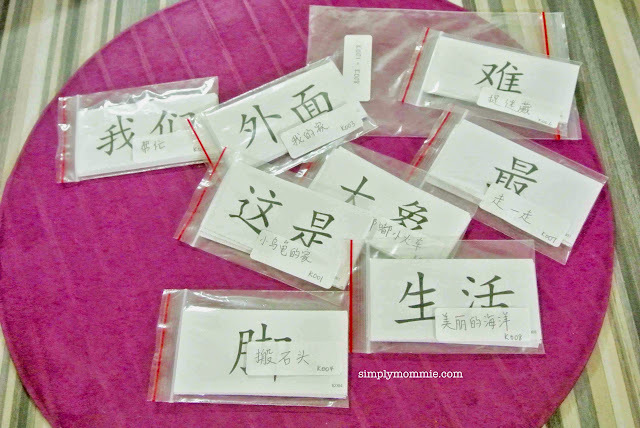 I would like to teach & encourage my son to learn Chinese. A great way for learning!! Interesting!! Anything related to family and kids ! Hope to win this to teach my kids Chinese. Just got feedback that my kids Chinese is not up to standard. Hope to win this to help them learn in a fun way and improve their Chinese. Opps!! Just saw that is over… >_<"